For the surname, see Brading (surname). History records that St Wilfrid came to the island during the 680s, landed at Brading, preached there to the islanders, and began the conversion of the Island. Bede states that King Caedwalla of Wessex killed the pagan population "with merciless slaughter" and replaced them with his own Christian followers, dedicating a quarter of the Isle of Wight to Wilfrid and the Church. Wilfrid would thus have been literally preaching to the converted because everyone else was dead. This legend was illustrated by a tableau at the Waxworks. Brading is part of the electoral ward called Brading, St. Helens and Bembridge. At the 2011 census the population of this ward was 6,935. Brading Down is a viewpoint and downland beauty spot, with views over Culver Down and Sandown Bay. From the north side of the hill it is possible to look over the town towards the mainland. From further up visitors can see the Solent and the Spinnaker Tower at Portsmouth. This elevated site is also of archaeological importance, with prehistoric, Roman and mediaeval remains, as well as practice trenches from the First World War. The RSPB Brading Marshes nature reserve is the first Royal Society for the Protection of Birds reserve on the Isle of Wight. Situated on the reclaimed land of the old harbour, behind the present-day Bembridge Harbour, it was bought in 2001 and is a mix of lagoons and ditches, reed beds and meadows, with a fringe of ancient woodland. 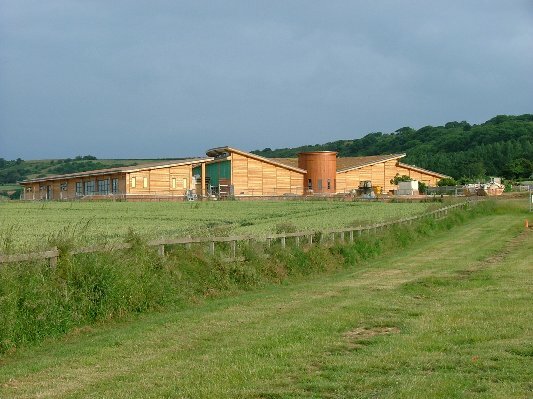 The reserve is free and open to visitors all year round. Notable species include marsh harriers, red squirrels and cetti's warbler. Another notable town attraction was the Brading Waxworks, a museum and waxworks exhibition housed in a Tudor pub (named the "Crown") built by Germaine Richardes who victualled the English fleet. The waxworks first opened in 1965, under the ownership of Graham Osborn-smith. It was renamed 'Brading: The Experience' by new owners in 2005, and further alterations in the same year saw the construction of a new section entitled 'World of Wheels', which displayed an array of vintage and unusual vehicles. However, the attraction announced its closure in late 2009 as a result of falling visitor numbers and the increasing costs of running and maintaining the site. It was closed for good on 3 January 2010, and most of the vast collection of taxidermy pieces, historical artefacts and vehicles was auctioned off in April 2010. Two of the waxworks tableaux: Valentine Grey, the little sweep and "The Skivvy" are on display in the building which is now a visitor centre with shops and food outlets. 'Little' Jane Squibb A devout young Christian girl who attended the Reverend's weekly Sunday school at St Mary's Church, Brading. Her story is told in Rev Legh Richmond's Annals Of The Poor, under 'The Young Cottager'. She succumbed to the disease, Tuberculosis known in those days as Consumption, on January 30th 1799. Her death affected Rev Legh greatly. 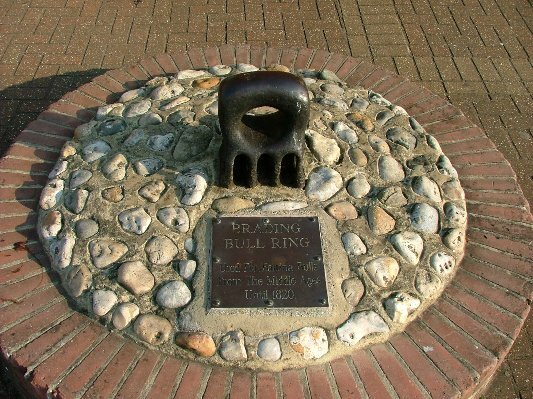 Her grave can be found in St Mary's Churchyard, Brading & her cottage in The Mall, Brading. ^ "Civil Parish population 2011". Retrieved 18 October 2015. ^ "Brading, St. Helens and Bembridge ward population 2011". Retrieved 18 October 2015. ^ "Brading The Experience of a Lifetime – Visiting Brading | Brading Town Council in Isle of Wight". Bradingtowncouncil.org.uk. Retrieved 17 September 2013. ^ "Closure spells end of era for Island tourism". Iwcp.co.uk. 8 January 2010. Retrieved 17 September 2013. ^ Coles, John (14 April 2010). "Isle of Wight News: Island Pulse: » Brading Experience Auction Nets £280,000". Island Pulse. Archived from the original on 24 March 2012. Retrieved 17 September 2013. Wikimedia Commons has media related to Brading.